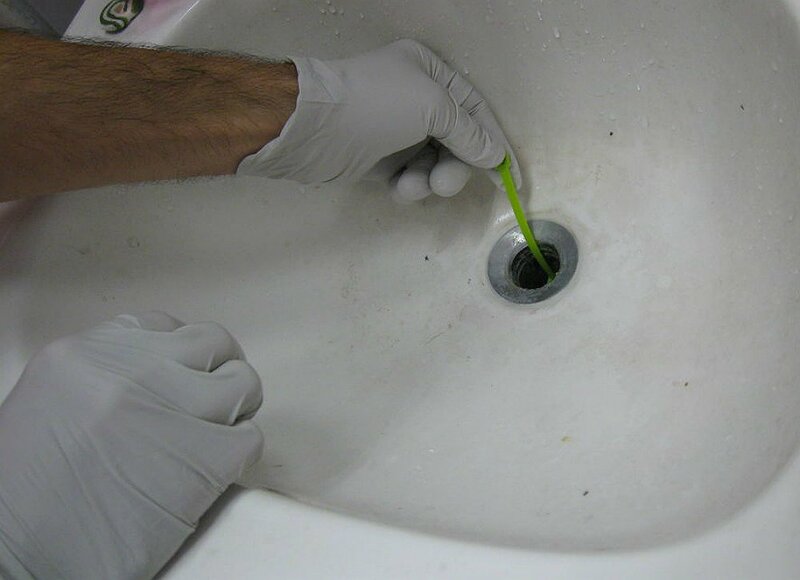 From clearing clogged drains to filling nail holes, maintaining your home can seem like a MacGyver-esque challenge—but it doesn’t have to be this way. Make light work of these and other common repairs with our collection of 41 invaluable home hacks. 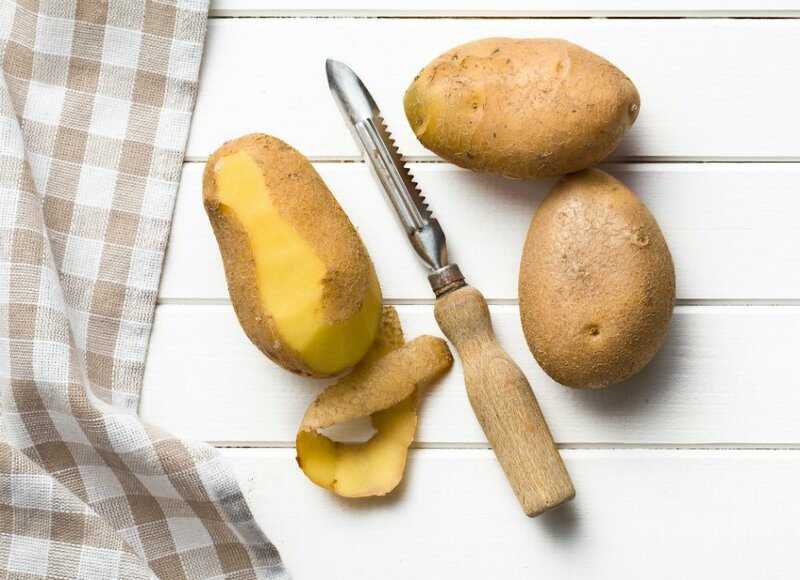 A Phillips-head screwdriver is a must-have in every DIYer’s toolkit, but if it’s gone missing from yours, one of your kitchen mainstays can work similar wonders: a vegetable peeler. Insert the tip of the peeler into the screw head, and turn it counterclockwise for an in-a-pinch solution for removing fasteners. Are your dull craft scissors literally no longer cutting it? 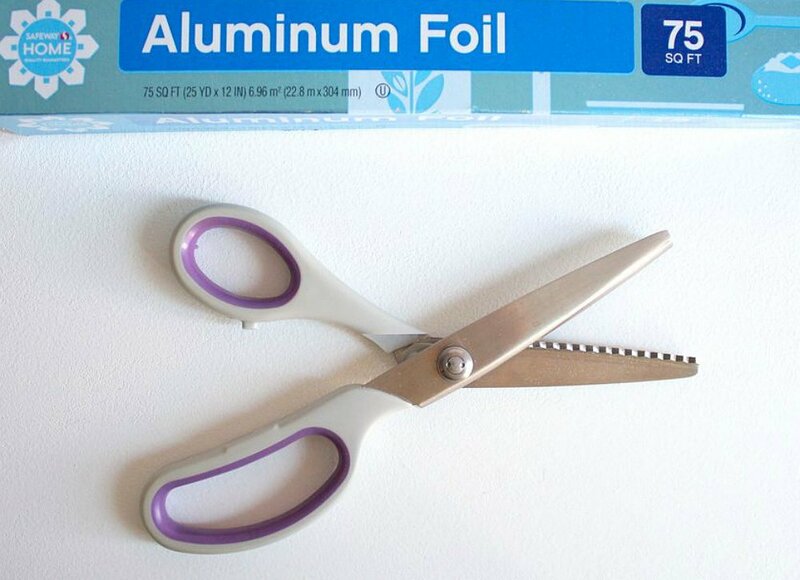 Sharpen up with this homemade solution: Stack several sheets of aluminum foil, fold them in half, and cut them with the scissors. Within six to eight cuts, the razor-sharp blades will be ready to use. Wiping out dents from your carpet is as simple as placing ice cubes over the divots and letting them melt—and engorge the carpet nap—for a few or several hours. 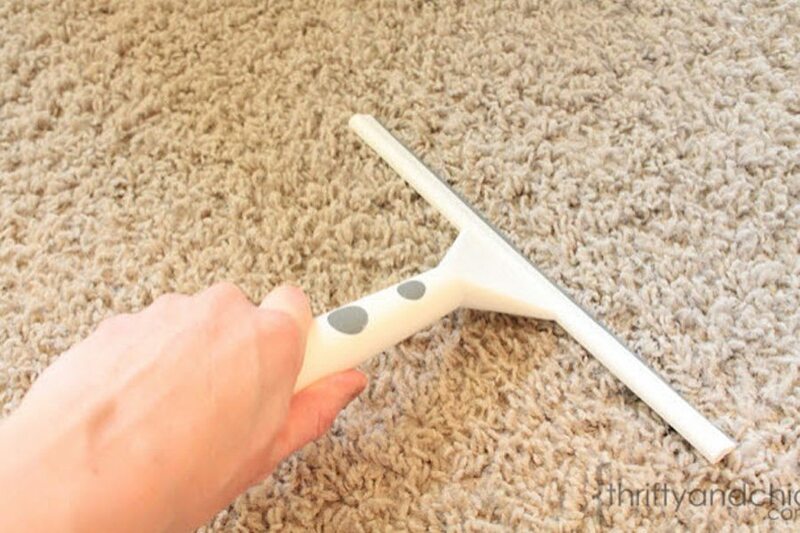 After blotting the water with a sponge, fluff the fibers with a spoon to reveal the luxurious carpet in your humble home. A clogged shower head can lead to slow-running water and a similarly low-energy start to your day. 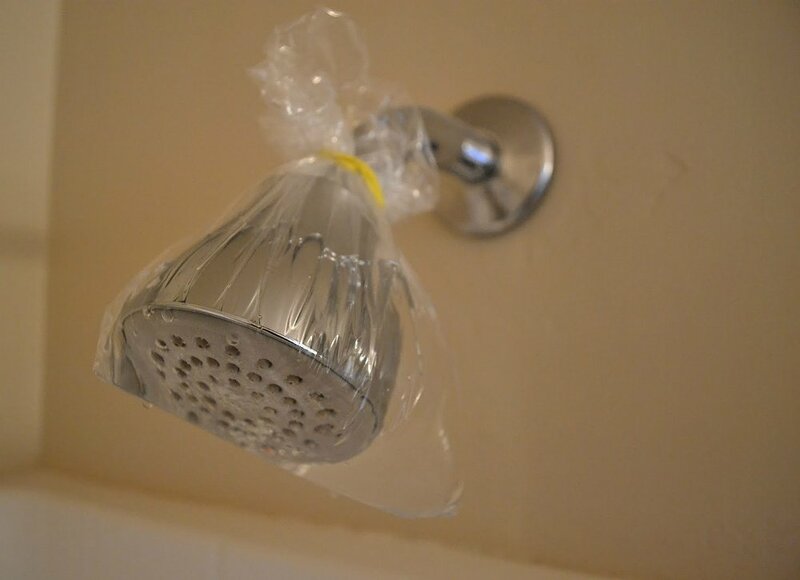 Fill a ziplock bag halfway with vinegar, secure it over the shower head with rubber bands, and let it sit overnight. In the morning, remove the bag, rinse the shower head, and enjoy the refreshing, fast-flowing water. As effective as irons are at de-wrinkling garments, they’re equally adept at pressing old, warped floor tiles back to perfection. Cover the peeling tiles with aluminum foil, and press a hot iron over the foil to soften the flooring. Then, gently pull up the warped section of flooring a bit. 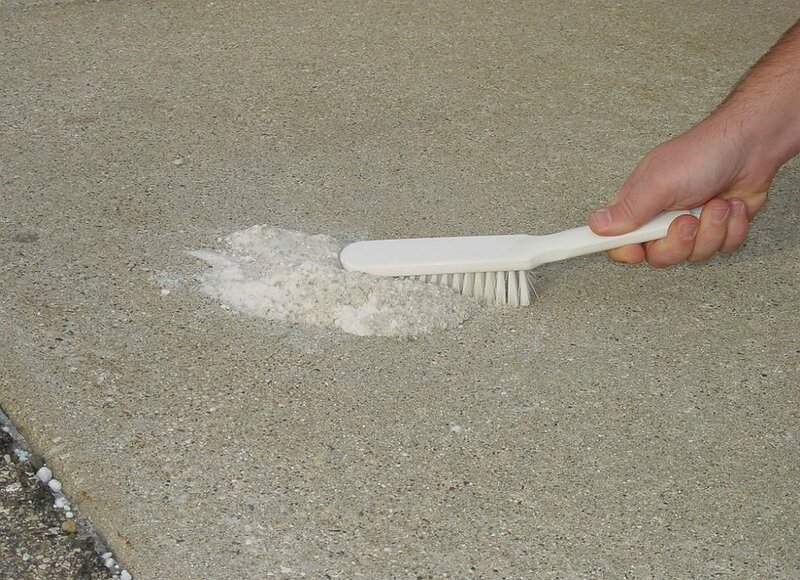 Scrape away dried adhesive, add new glue, and press with a heavy object to complete this underfoot fix. Can’t live with dents in wood floors and furniture? After wetting the indentation, place a damp towel over it. Then, press a hot clothes iron over the towel, using circular motions for a few minutes to give dings a barely there—if not invisible—look. If a stuck drawer stands between you and your everyday essentials, get them out of their sticky situation with a bottom-dollar fix: soap. Simply slide bar or dish soap along the drawer glides. The sudsy savior will act as a lubricant, letting you again have access to your stashed stuff. Because of its tendency to chip and crack, particleboard furniture’s useful life is often cut unnecessarily short. Prolong its existence by applying ordinary school glue to any flaws, smoothing the glue with plastic wrap, and coloring the repaired areas with marker for a rustic, restored finish. 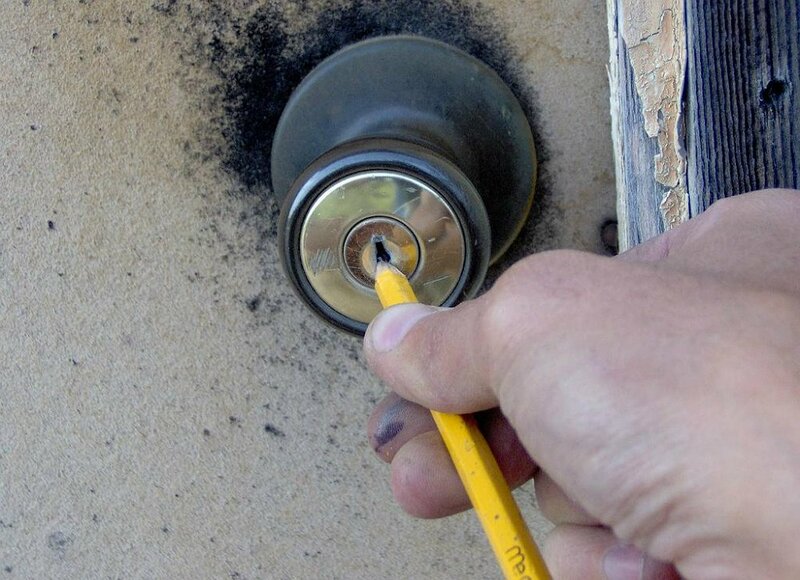 You don’t have to be a locksmith to open a stuck lock. The essential key to success is graphite, which you can obtain from a pencil with the help of a pocketknife. After you fill the lock keyway with the graphite, the lubricated lock will be ready to receive your key—and unlock in a jiffy. 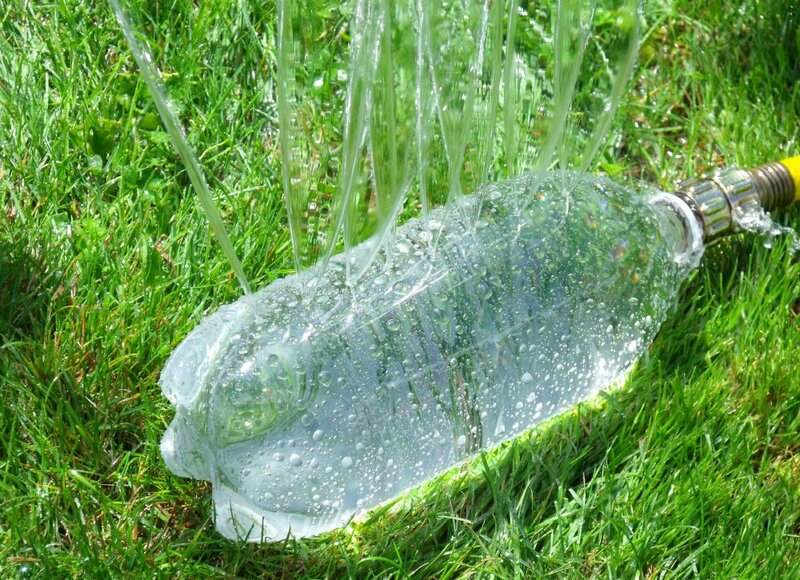 The start of spring is a poor time for a lawn sprinkler to break, but if yours conks out, create a temporary watering tool from an empty soda bottle pierced with holes. 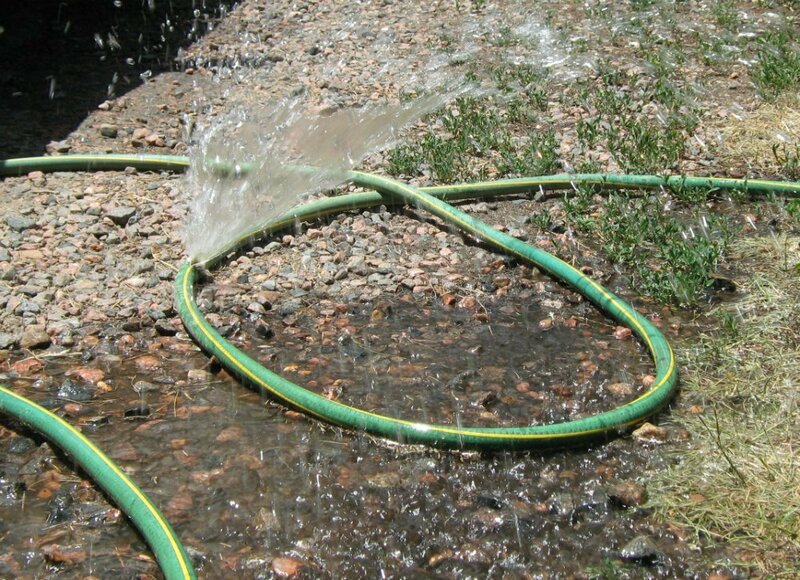 After attaching the neck of the bottle to your garden hose, turn on the spigot to give the lawn a drink or even enjoy some springtime sprinkler fun! Moving out of a rental means you can no longer hide unsightly nail holes behind portraits and posters—if you want your deposit back. Non-gel toothpaste, a household staple, can easily fill the holes while blending seamlessly into the walls. Rub a dollop of paste into the hole, blotting the excess with a wet rag for a pristine finish. 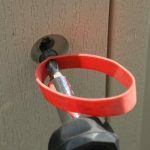 While it’s great for assembling crafts and facilitating indoor repairs, superglue is equally effective when used outdoors to waterproof and leakproof backyard essentials. Use a spot of the super-strength bonding adhesive to plug holes in hoses, pool floats, and more. Have you hit a snag on your woven rug? 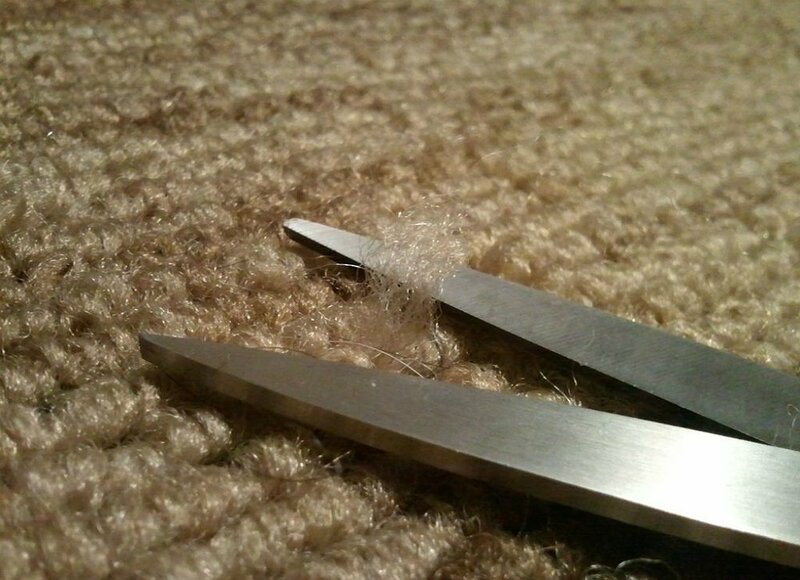 Trim the fray with scissors, and then squeeze fabric glue into the base of the carpet. To set the adhesive, line the carpet with wax paper followed by a heavy book. In two to four hours, even you will be floored by the unnoticeable snag—and the regal look of your old rug. Some drain cleaners and unclogging gadgets do little more than send money down the drain. The next time you’re stuck with a clog, try linking together a few long, wide zip ties and using a wire cutter to snip protruding barbs into them. Then, just feed the ties down the drain, clear the clog, and put a stopper on extra spending. 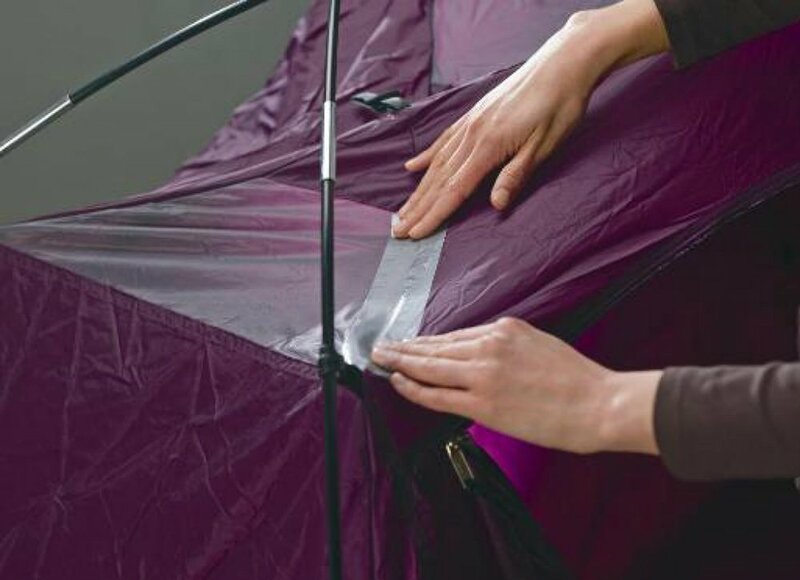 Despite its reputation for makeshift fixes, duct tape can bring serious stability to plastic items like vacuum cleaner hoses, paint buckets, camping tents, and trash cans. 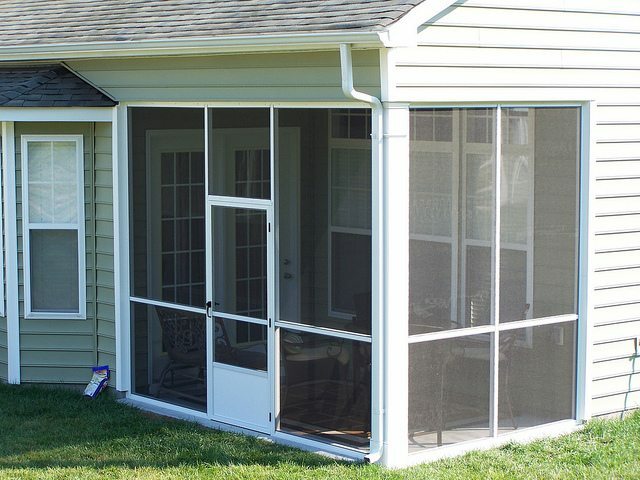 Tape a swath to cracks and holes in everyday essentials—indoors and out—to prolong their useful life. Sometimes the screw securing a hinge to a cabinet door becomes dislodged and stops gripping the wood. 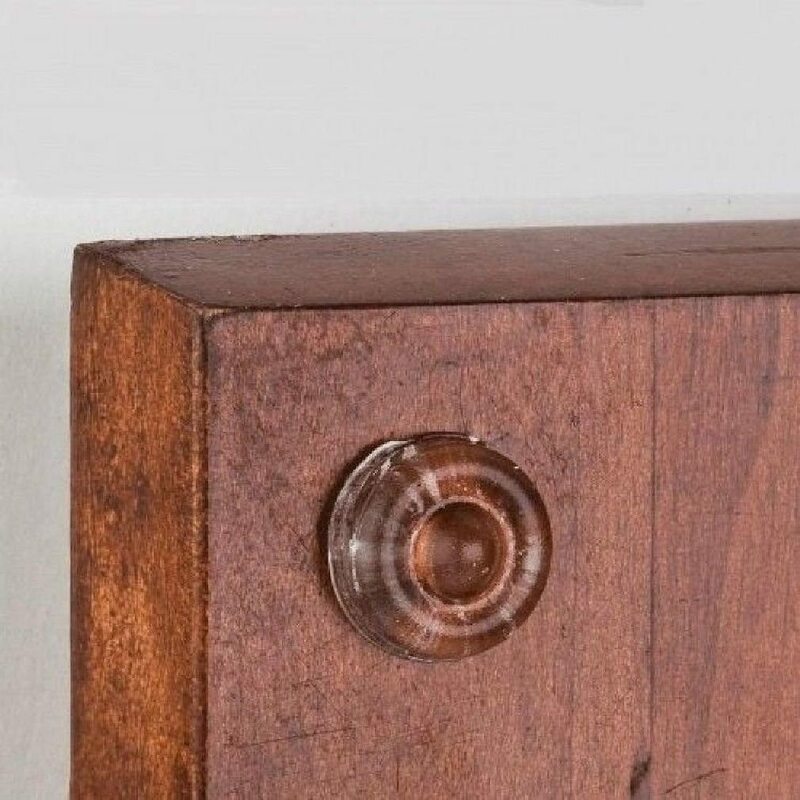 Over time, the screw begins to gouge the cabinet interior, and the door becomes crooked and difficult to close. Set things straight by removing the door and hinge, and then fitting a cut chopstick into each stripped hole. 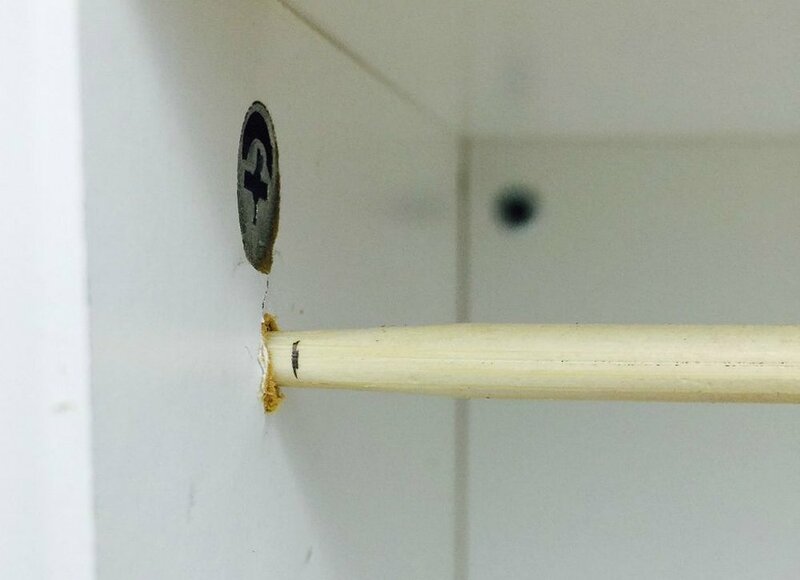 Fit the chopstick in tightly, and tap it in with a screwdriver until it’s flush with the inside of the cabinet. Now that you have some wood for the screw to grip, drill a new hole at the center of each chopstick. Finally, reinstall the hinge and door, and close the door on this cabinet conundrum for good. Nail varnish can do more than polish your fingernails—it can also add polish to timeworn windows by stopping window screen tears in their tracks. Brush clear nail polish directly over snags and fledgling slits to keep your window screens—and your sanity—from unraveling any further. Of the many things that go bump in the night, the squeak of a bed framemay be the most frustrating. Here’s how to put the offending sound to bed. 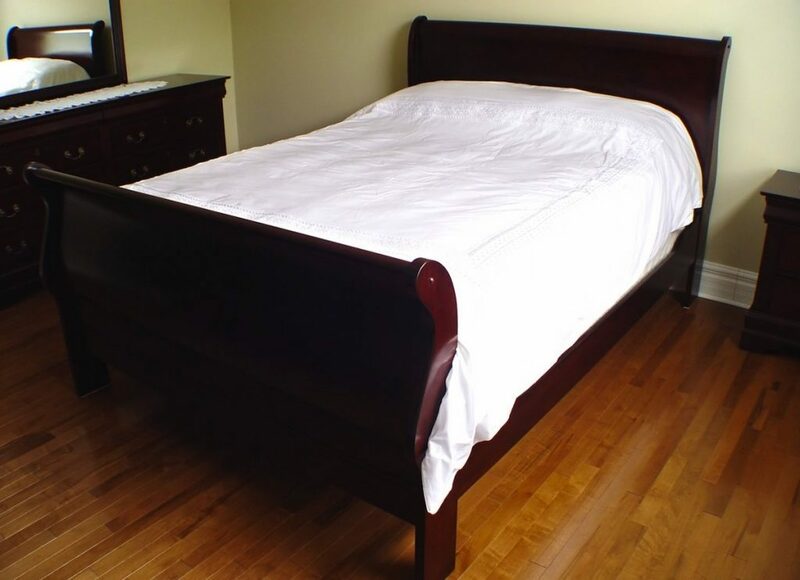 Move across the mattress in order to locate the noisy joint in the frame. Then, rub a wax candle over the contact points of the joint until all you hear is sweet silence! Your cat probably didn’t cause the oil stain on the driveway, but it has what it takes to help you clean it. Scatter superabsorbent cat litter over the stain, then let it sit for up to 15 minutes before crushing it with your shoes. 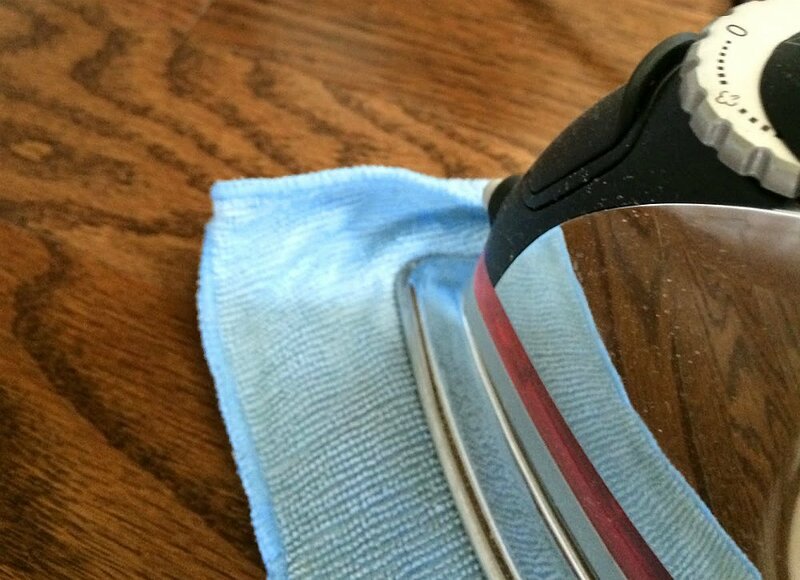 Finally, scrub the area with detergent, and rinse the stains away! 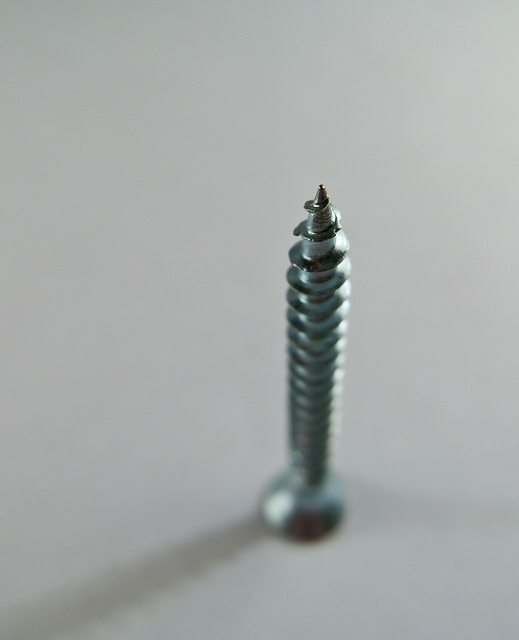 Is removing a stripped screw stretching your patience? Try placing a rubber band flat against the screw head and then fitting the tip of a screwdriver over the rubber band and into the grooves. The band will fill in the gaps in the screw, providing the traction needed to turn the screw and remove it with ease. A squeaky door can often be blamed on the pin that connects the two hinge plates. Use a hammer to tap a nail upward into the pin to push it out of the hinge, then pull it out the rest of the way. Coat the pin with full-fat mayonnaise before reinstalling it in the hinge. Open and close the door several times to distribute the luscious lubricant—and quiet the noise. If you don’t have a can of WD-40 handy, no need to fret. Cooking spray will also work wonders on those squeaky doors or cabinets. 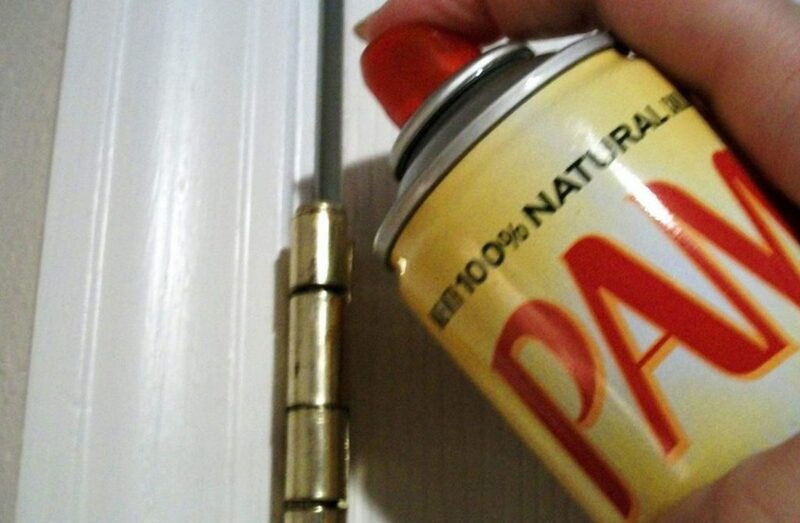 Spray just a little on the hinges, and you should be squeak-free in no time. If you suspect a leaky toilet, use a 20-cent packet of Kool-Aid to find out. 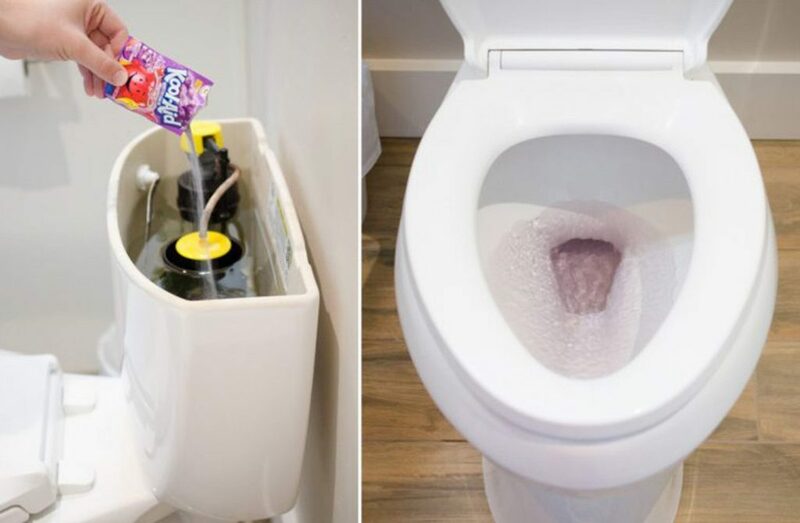 After removing the lid of the toilet tank, pour in the contents of a dark-colored Kool-Aid packet. Wait 30 minutes, and if you return to find the inside of your toilet bowl the same color as the Kool-Aid, then you’ll know you have a leak. Just make sure that you don’t flush your toilet while you wait for the Kool-Aid to work its magic. It’s amazing what a thin coat of nail polish can do! 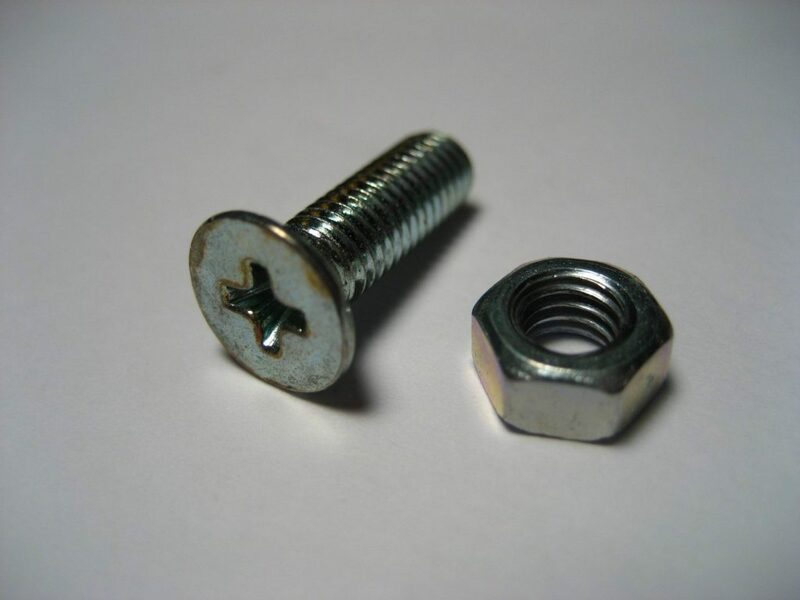 By painting a screw with nail polish, which acts like glue, it is more likely to stay in place. 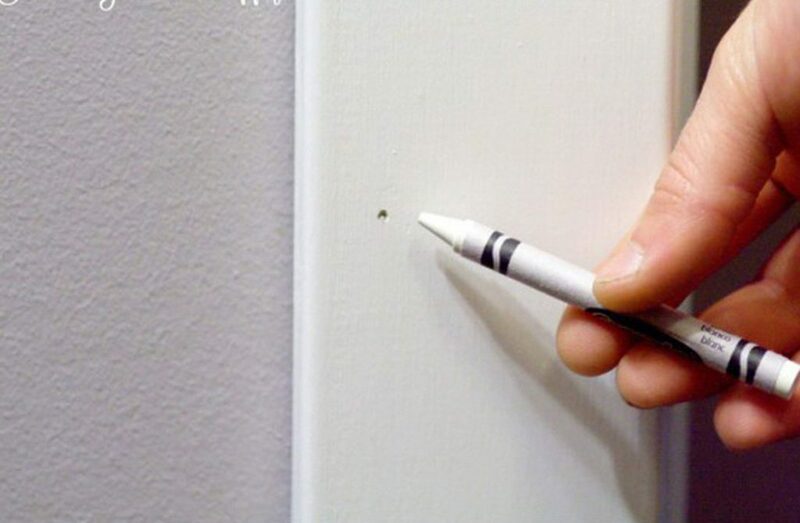 Choose a crayon that closely matches the color of the wall you’re repairing. With firm pressure, rub the crayon over the nail hole. It’s like coloring on the walls—but for adults! 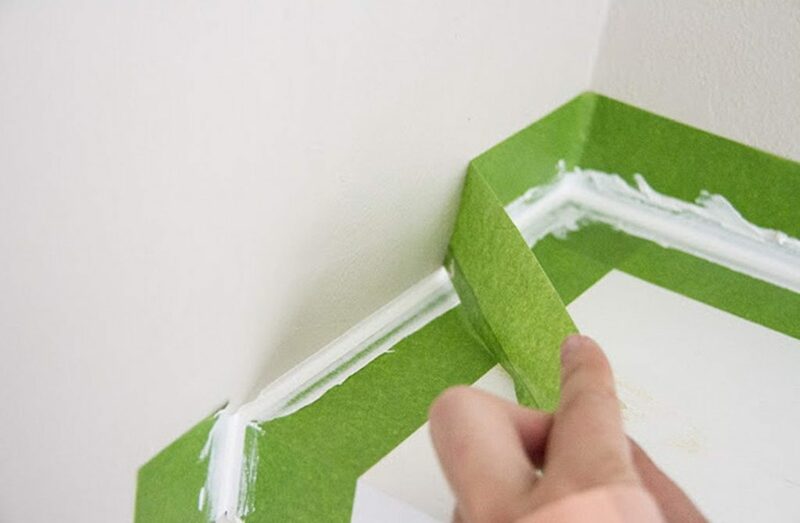 If you’ve ever attempted to use caulk but couldn’t figure out how to achieve that perfect straight edge, then pick up some painter’s tape next time you go to the hardware store. Unlike with paint, the trick is to remove the painter’s tape while the caulk is still wet. If the caulk starts to dry, you might end up pulling up some of the dried caulk, leaving a less than perfect line. Have you ever broken a light bulb while it’s still in the socket? If so, you know how frustrating it can be to remove it. 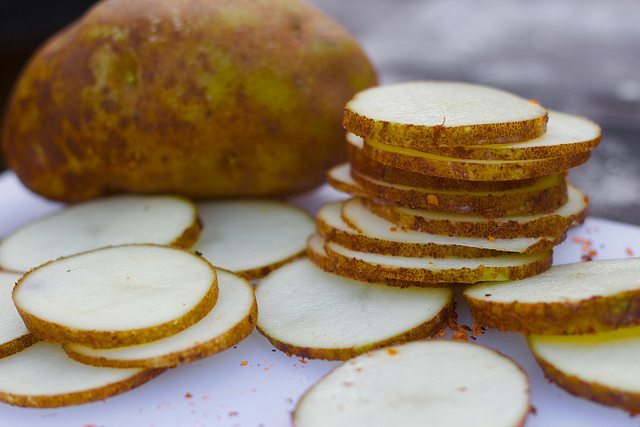 But, you can use a potato to get it out without cutting your fingers. Cut the potato in half, push the soft side into the broken bulb and turn it counterclockwise until the broken glass is embedded into the potato. Don’t forget to turn off the power and put on protective gloves before you attempt this hack! Place a rubber band over the head of the screw before trying to remove it with a screwdriver. That will add extra friction, allowing you to remove that stubborn stripped screw with ease. 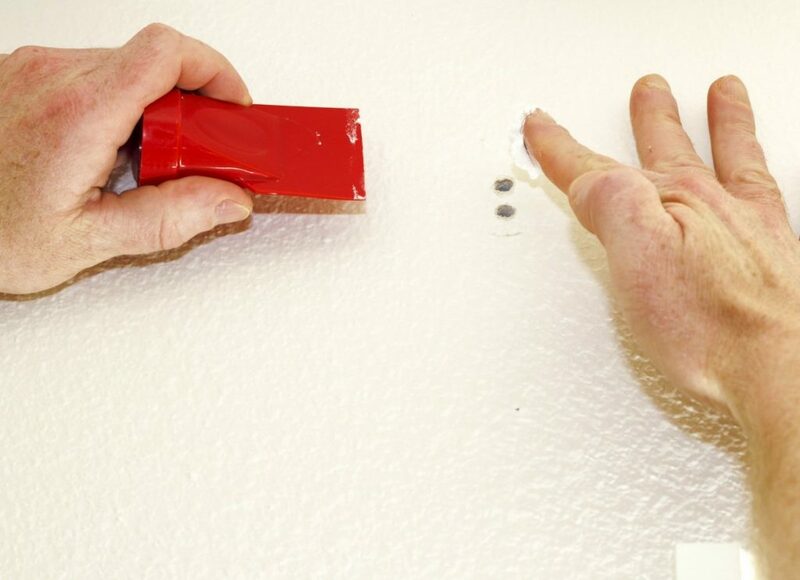 This is yet another simple trick to easily fill those unsightly nail holes in your walls. 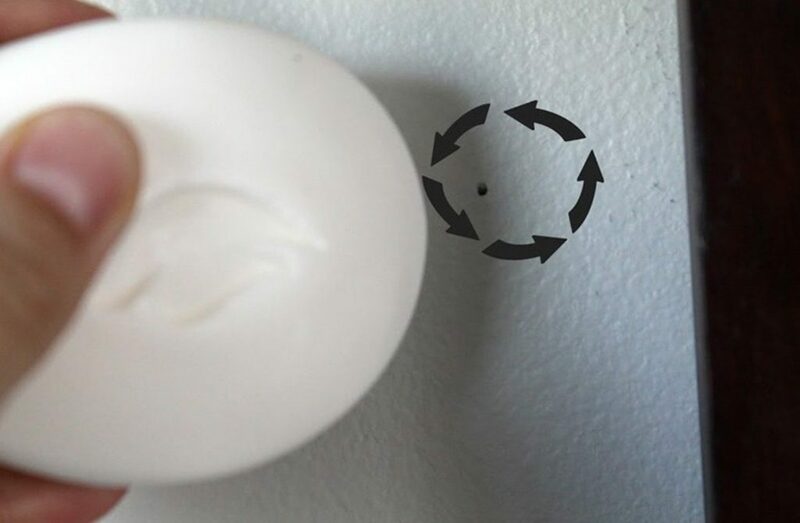 Rub a basic bar of white soap in a counterclockwise circular motion over the hole. If the soap leaves a little residue on the wall, just use a warm wet cloth to wipe it off. 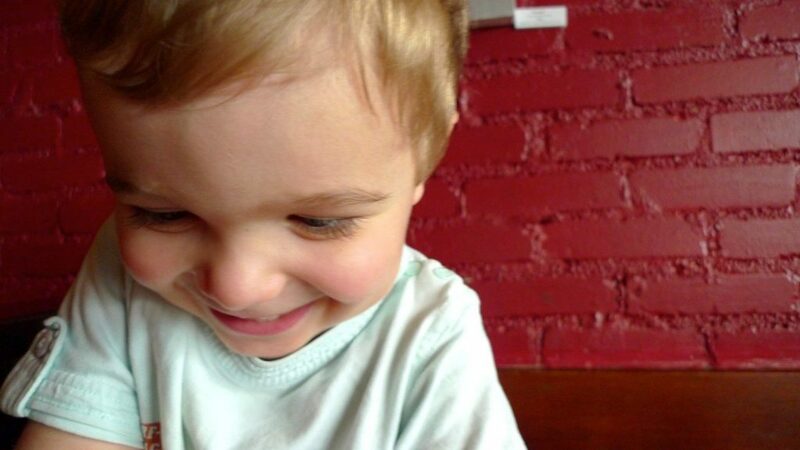 It’s amazing how the simplest things can have such a big impact—and this little hack is a prime example. By placing an inexpensive cabinet door bumper on the doorjamb, you can prevent a door from rattling or slamming. 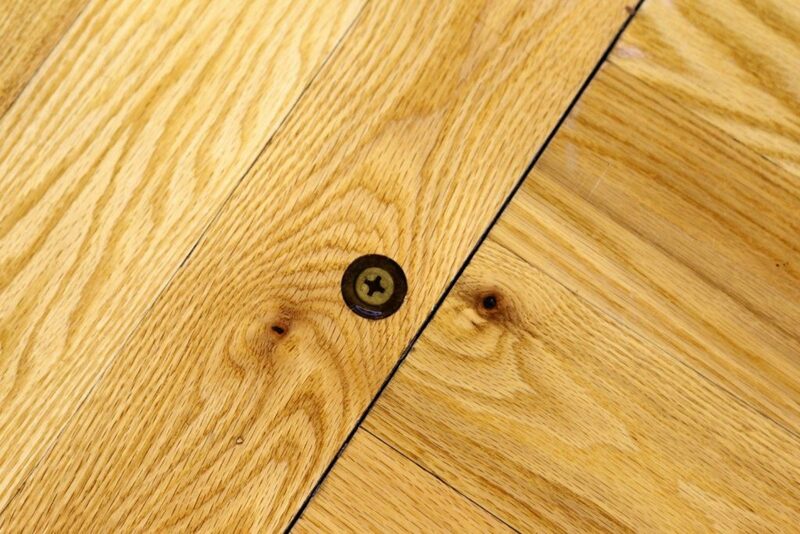 If you have a few squeaky floor boards, it’s probably because pieces of wood are rubbing together. 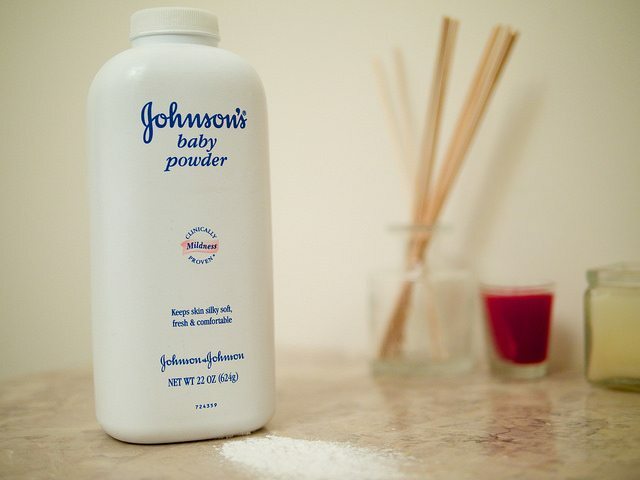 To fix the issue, try filling a small squeeze bottle (such as the kind you’d get with an at-home hair dye kit) with baby powder. 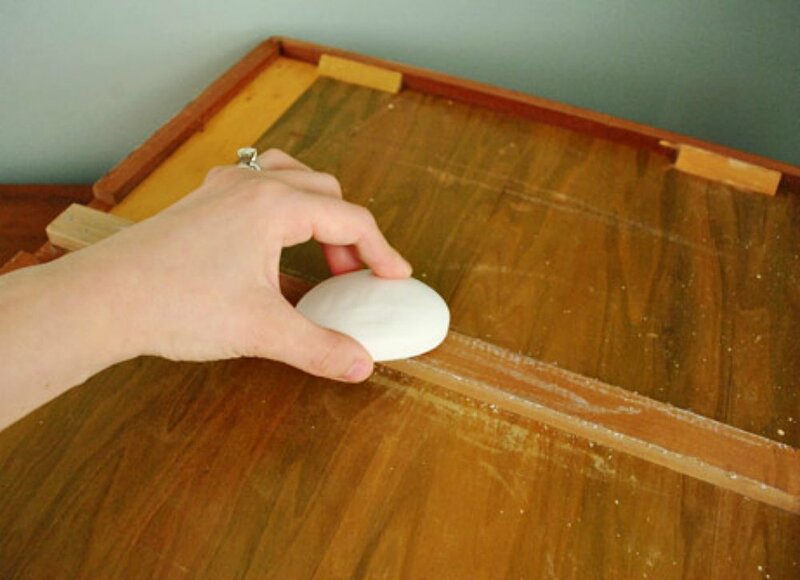 Squeeze the powder in between the boards, and then use a makeup brush to push the powder down in the crack. 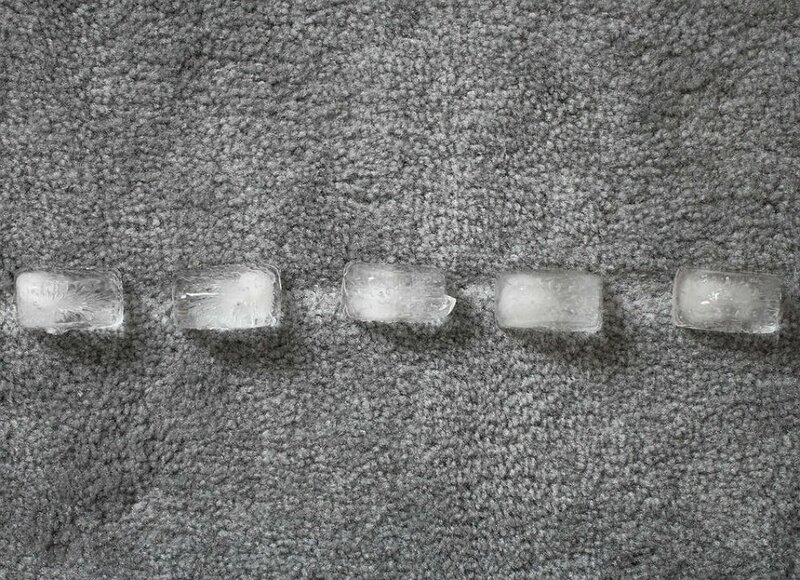 Place an ice cube on the dented area of your carpet and let it melt. 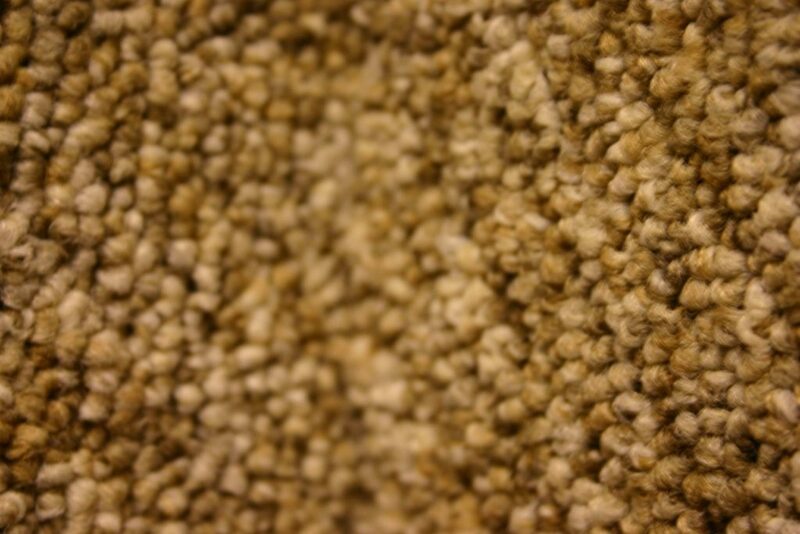 As the water is absorbed into the carpet, it should start to spring back to normal. After the carpet is completely dry, use a hard-bristled brush to fluff any areas that are still dented. 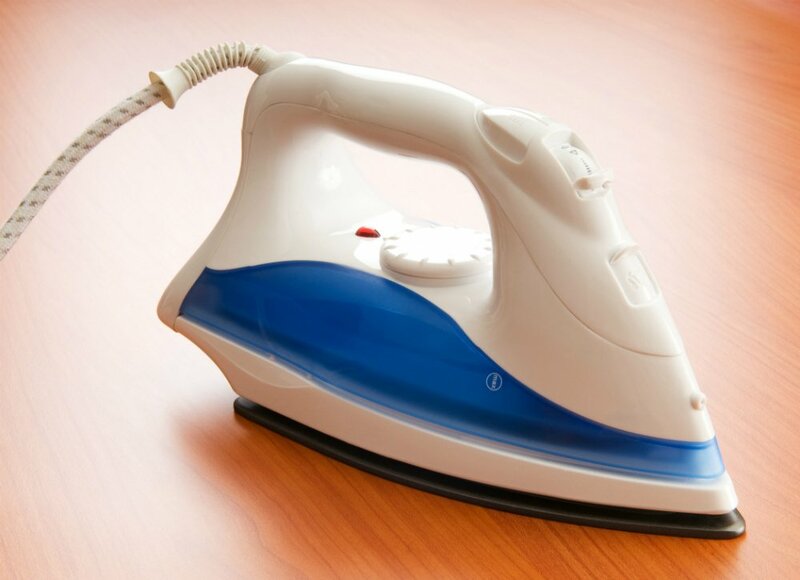 You can quickly and safely remove small dents in furniture and hardwood floors with an iron. Wet the indentation with a small amount of water and place a moist towel over it. Then run the iron over the area in a circular motion. If your paint has a sheen, you can use WD-40 to easily wipe off markings from crayons or marker. However, if you try to use this trick on matte or flat paints, the oil in the WD-40 can stain the walls, making matters worse. 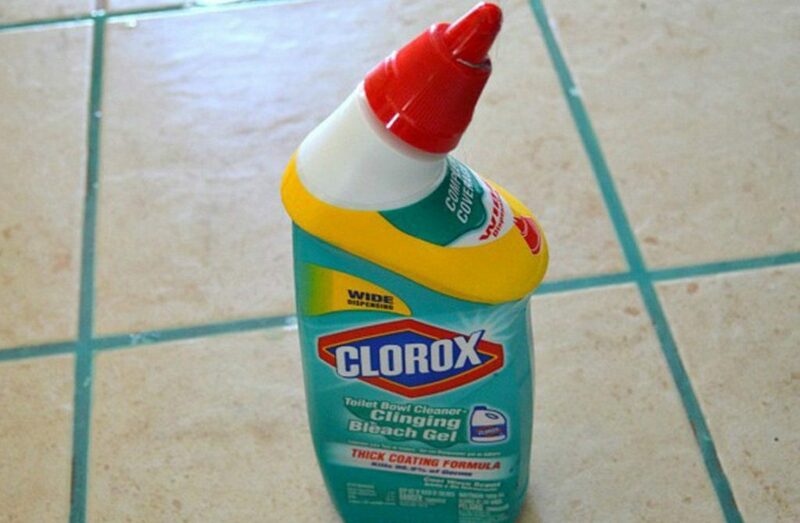 Apply toilet bowl cleaner to the grout and let it sit for 15 minutes. Then scrub with a small cleaning brush or toothbrush. Finally, mop the area with warm water and prepare to be amazed. 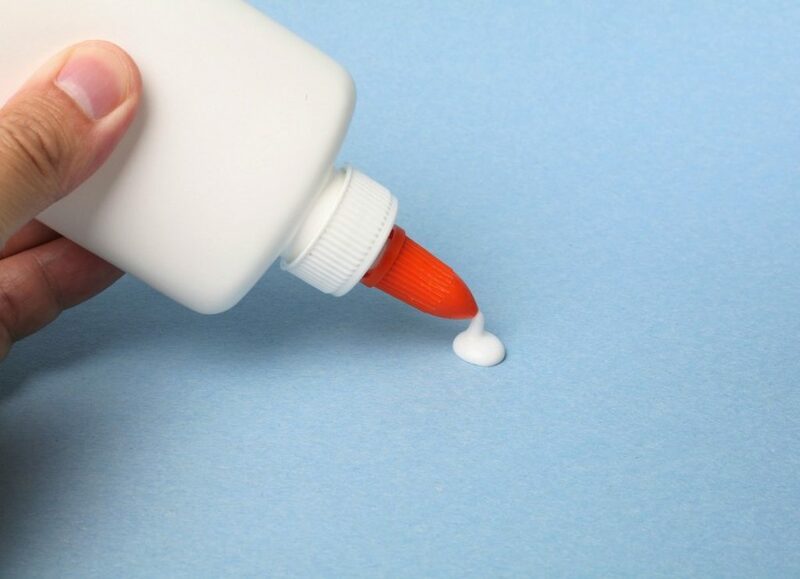 Small tears in a screen can be quickly fixed with a few drops of clear nail polish, which acts as an invisible glue. 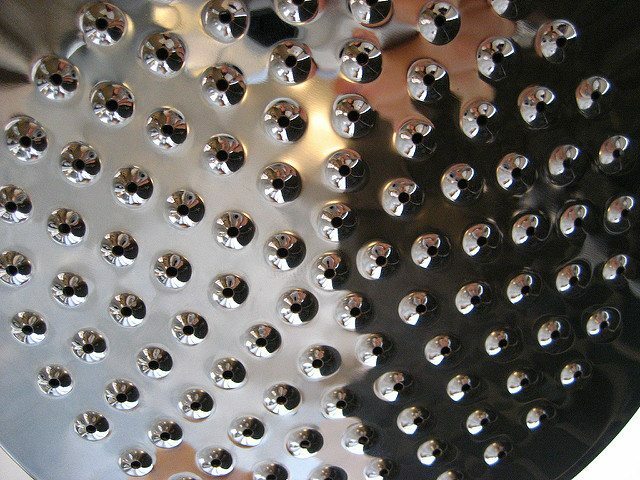 Remove mineral deposits and other grime from your shower head by simply soaking it overnight in vinegar. Cut a pool noodle in half and screw it into your garage wall at the height where your car door hits. 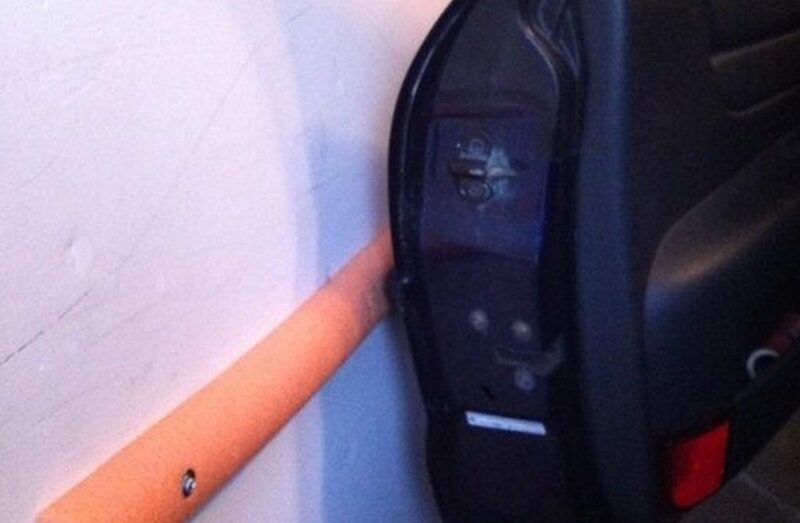 This easy hack will protect both your wall and your car door from getting banged up. You’d be surprised how well a squeegee can remove pet hair from carpet. Give it a try! If you’re doing something such as bringing in groceries, let a single rubber band lend you a hand. 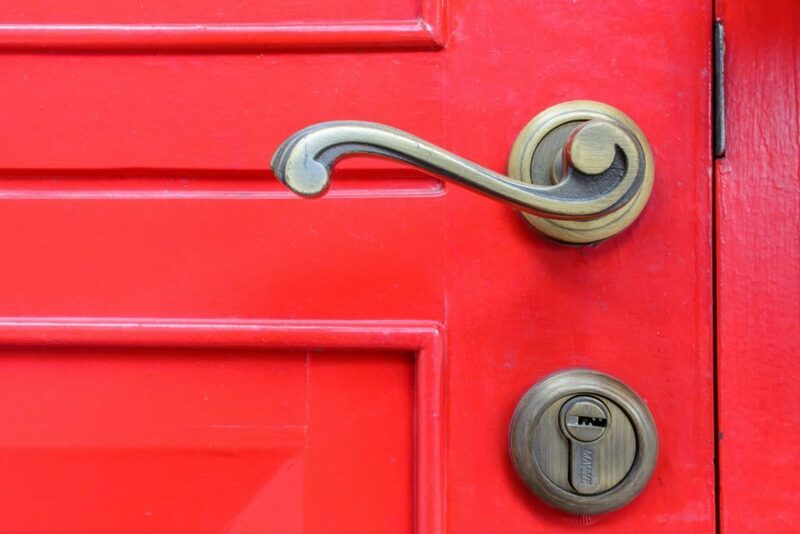 By looping it over both sides of the door knob, it will be in the perfect place to prevent the door from latching. If you need a specific sized bolt but don’t have it in your home, don’t fret! Simply take a permanent marker and draw lines up to the end that you would like to remove. Line up two nuts right behind the marker line—these will act as reinforcement. Then place your bolt into an electric tool and let it spin. Use a handsaw to get rid of the excess bolt area. Easy as pie! Complete our info form to request information today! CLEAN IT RIGHT... CALL INSTA-BRITE!